The art of the traditional Chinese garden was popular among the wealthy during the Ming and Qing Dynasties, and nowhere is the classic beauty of these gardens more evident than in Suzhou. 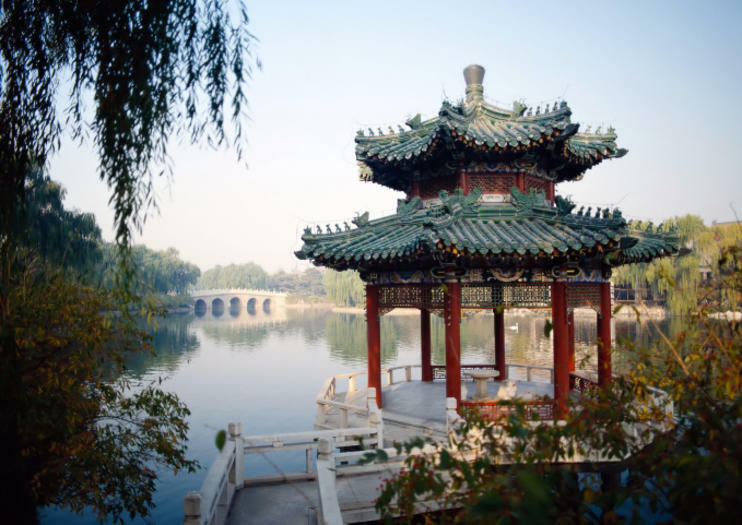 Nine of these gardens make up the UNESCO World Heritage-listed Classical Gardens of Suzhou. Here’s what you need to know. The largest garden in Suzhou, built in the early 16th century, is dominated by ponds and lakes. Visitors will also find a small museum, teahouse, and 10 pavilions for taking in the views. This Qing-style garden ranks among the most popular in China. It’s noted for its magnificent architectural details, particularly the Mandarin Duck Hall with its engraved moon gate. While on the smaller side, the Net Master’s Garden is one of the best preserved in Suzhou. Its labyrinthine courtyards, originally built in the 12th century, were meticulously restored in the 1700s. Located within the Embroidery Museum, this garden appears larger than it is thanks to a series of interconnecting pavilions placed at different heights and altitudes. This garden, sometimes called the Blue Wave Pavilion, is among the oldest in Suzhou, dating back to the 11th century. Canglang Pavilion is off the beaten path, and it’s a good option if you’re looking for a less touristy experience. Craggy rocks and interconnected caves are distinctive features of the Lion Grove Garden, built by a Buddhist monk in 1342. Often overlooked by international visitors, the Garden of Cultivation has a classic Chinese garden design, including water features, covered corridors, and rock formations. Surrounded by water on three sides, the Couple’s Garden Retreat is certainly romantic, with its weeping willows, ponds, and grottoes. It’s even accessible by boat. This garden, designed by a painter of the Wumen school, is nicknamed Garden Floating on Water for the high water level of its ponds and buildings placed right at the water’s edge.